The 2018 voting season is on... figured I'd start a topic to share information about it. There are 35 seats open on the Senate, all 435 seats of the House are open, and 36 Governor seats are open. And of course, special elections year round depending on where you live. There are a lot of energized people running for office that are not career politicians. That has to be a good change. I think citizen legislators might get us closer to a democracy representing people more than special interests. Maybe. Yeah, and I'd help out in that endeavor as best I could, if it weren't for the fact that practically none of them are running anywhere near where I live. Today Oklahoma started it's early voting, and Illinois started it's earliest voting date and earliest date to mail out ballots. Next week also sees voter registration deadlines in Florida, Arizona, and Wisconsin. Indiana and Tennessee have candidate deadlines. California sees it's last day officials can transmit ballots to military and overseas voters. Congress is red, the future is blue. We're gonna unseat Republicans, and corporate Democrats too. Come on, man. Why so sad? If you’re going to dp that, who’ll be in Congress? Unfortunately for the Democrats, I believe that there are more Dem Senate seats up for election this time then Republicans. So their chance of winning the Senate is pretty much zero, IMHO. And the Rs that are running are from Trump won states. With Trump's approval being nearly what Obama's was after the first year, I think the Republicans are not at the level of hurt that the Media seems to be trying to make happen. For the House, I do think the Ds will pick up a few seats, but they are not going to win the House either. Rs will still have the majority. Though it could be a surprise and the Rs might pick up a few seats. Don't underestimate the power of being an incumbent. Especially when the economy is doing OK.
Socialists, a different fish entirely. Nearly as bad and basically the pupal stage. I'm willing to bed you don't even know what socialism is, or how it works. You've just been indoctrinated to believe SOCIALISM = BAD and haven't researched it any further. Wanting a living wage, universal healthcare, higher taxes on the rich and less on the poor, etc. is basically what we support. Hardly the doom and gloom right wingers paint it as. 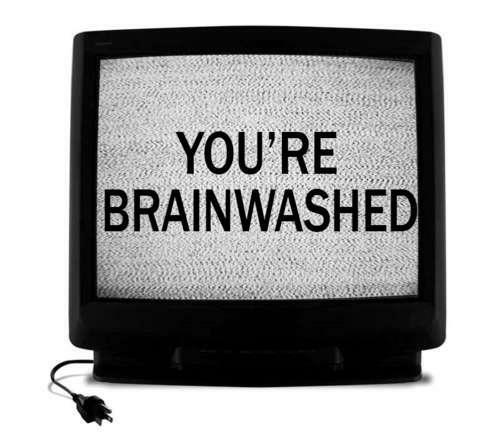 Brainwashed? Not in the slightest. I just believe in fairness. Not a fan of fascism. Not a fan of fascism. If you're a Trump supporter, then the level of irony here is stupendous. I held my nose when I voted for Trump. I find him to be a narcissistic a** but far from a fascist . I also find him to be America's last chance. Feel free to educate me of Trump's fascism. Pfft. Yeah, no thanks. I've wasted enough time arguing with brick walls on here and other places. I mostly just come in this section as a casual poster. No real arguments ever go anywhere anyway. No dear, we’ve had this conversation before. A socialist sees someone suffering and does something about it for that person, a Communist sees someone suffering and expects the Community to do something about it. Can you explain what a living wage is. Does a guy like me nearly 40, married with 2 Kids deserve a higher wage for the same position than a 26 year old single guy? Surely my basic cost of living is far greater than the single guys. Fascism is LITERALLY the opposite of Communism. A living wage is simply the amount of money necessary to be self-sustaining while working full-time. Basic food, utilities, rent, etc. We're not talking much here. Right now under our current system it's basically impossible to live alone on minimum wage without any government or family assistance. The minimum wage should be just enough to pay for rent and minor expenses while you pull yourself up by your bootstraps and get an education and do something improve your lot in life. However, many countries don’t have the ancillary services that allow this to work. Other countries don’t support those services in order to support the people using them to an appropriate level. In fact, the only people on minimum wage should be 20 somethings, everyone else having moved onto careers that pay enough to eventually buy a house, OR people who have fallen on hard times and need a chance to breath and start again. But still - bootstraps up and improve away from minimum wage. Brickie’s Labourer? Minimum wage. Brickie? Not minimum wage. Burger flipper at McKentucky Fried Burger Kong? Minimum wage. Cook at a restaurant? Not minimum wage. Why? The former is just there to do drudge work, thr later is someone who has worked to develop skills at their trade. But it’s a subjective amount to each person. Again, I have a family. The basics cost a lot more than a single guy’s does. The idea that everybody deserves a living wage means that I could aspire only to flip burgers my whole life yet still earn enough to pay those basics. Therefore I’m either earning a lot more than the single guy for the same work or he’s earning a heck of a lot more than what the job is worth and what it takes to pay his basics. Either way it’s hardly a fair or reasonable idea. So, does that mean a young single person should have a living wage that is about half to a quarter, what a old person with a spouse and 2 kids makes? After all the parent is paying for themself and at least one child. Logically that would be true, given the above definition. I, myself, don't believe that the minimum wage should be a living wage. People need to work and gain experience, and have value, before they earn a living wage. A person should have the responsibility to gain that experience and value when they are young, so they can provide when they are older. If they have no marketable experience, or talent, or education, that should be their own fault. I do understand that some people are disadvantaged, either by physical circumstances, or mental circumstances, or life choices, and need help. But they shouldn't have to be held up and coddled for 30 or 40 years. That is just them taking advantage of the system, and staying at an easy job. Easy here being relative. But, I don't know a single high paying job that isn't hard/stressful in some way.